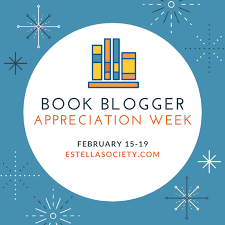 Today is the first day of Book Blogger Appreciation Week hosted over at Estella Society, and I'm super excited to be taking part for the very first time. I've some fun posts lined up for the week, with today's prompt asking us to introduce ourselves using five books that represent us as a person / our interests and lifestyle. In the politest of ways, I'm really not that interesting of a person - that may sound like a negative or debbie downer thing to say, but in no way do I mean it as a negative. I'm very happy with who I am, my interests, my hobbies, my life, but I understand how it could look to an outsider. I'm very much a homebody, family oriented, and with the exception of walking and exploring outdoors in nature, all my interests have a focus on being indoors. The books I've shared below are a mixture of interests, but with a large focus on reading interests. First of all, I love Roald Dahl as an author - both his adult & children's writing - which you'll note from two books featuring on this list, but for obvious reasons Matilda is my favourite Dahl book. I love reading, Matilda loves reading, as a child she was a person I could relate to and that's always nice in your reading material, regardless of age. I'm still holding on to that childhood dream of owning a chocolate factory because a. who doesn't?! and b. I'm pretty much a chocolate addict. I'm not a wizard, sadly, but I have always had an interest in things of a magical / fantastical nature. Not only do I own the series in paperback, but I've also started collecting the illustrated editions as well as listening to the audiobook version this year. These encompass a couple of things for me - firstly, an interest in folklore and fairy tales. Not just the hearts and roses variety, but I do quite like those too. Secondly, I'm a big Disney enthusiast and often times those stories have a tie with folklore and such. Much like the above book, this title shares a couple of things about me. I love animated films. I know many think of animated films being only for children, but that really isn't the case. Some of my favourite films are of the animated variety, and they are properly my most often watched films - not only because I have a child! The other element that stems from this title is my want and love of delving deeper in to things. Some people are happy to see a finished product of something and be fine with that, not wanting to know how everything came together for that one specific thing, but me, I like backstories. This is a book I'm currently reading but have read many times before - I thoroughly enjoy ghost stories, and Susan Hill's are some of the absolute favourites thanks to the muted but powerful prose. The copy I'm reading actually features five ghost stories by the author, all of which I've read before, but will work my way through again because a. I'm a big rereader and b. because with the British weather acting the way it is (think wind howling, rain falling), all I want to do is curl up with a good old ghost story - winter is my favourite time to read ghost stories. I hope you've learnt a little bit about me from the books I've featured above, and I look forward to meeting some new faces during Book Blogger Appreciation Week. Be sure to share a little bit about yourself in the comments below! I couldn't imagine being any other way! I keep meaning to read A Woman in Black .. maybe this year. I've read the book, watched the film and seen the play in theatre twice... You could say I like it :-P I hope you enjoy if you do read it. Owning a chocolate factory would be pretty fantastic! Though I'm not sure my hips would take to it too kindly. Dahl was one of my childhood favorites and I can't wait to explore him again with my girls. And I NEED to get my hands on the illustrated Harry Potter! Oh, you won't be disappointed if you pick up the illustrated HP - it's a beauty! hello chocolate factory! I wouldn't mind that one bit. Yumm-o! I have Woman in Black just haven't got to it yet. Can you believe I have never read Harry Potter and only watched one. The quiet home ladies are sometimes the best thinkers, great friends you usually are. I hope you enjoy The Woman in Black when you get round to reading it. Ah, Harry Potter isn't for everyone. My partner enjoys the films but disliked the books! I feel you on being an indoors sort of person- I think a lot of us bookworms are homebodies. It's nothing to be ashamed of! I see absolutely nothing wrong with getting all my "interesting" out in my imagination. Imagination is the best. Imagination is the best - I agree!! Matilda was staple childhood reading for me. I reread all of Roald Dahl's children's books a couple of years ago and loved them just as much as I originally did. Although I love Susan Hill's ghost stories, I have yet to read any of her mystery books. I'll have to check them out! I can totally relate to what you have written about the fact that all your interests have a focus on being indoors - I am like that too. I like some fresh air every now and then, but I am perfectly content losing myself in a book on my couch/bed. I'm very much the same. Matilda was my favorite when I was a kid!! Loved that book. In my post I mostly focused on books that describe me as an adult, I totally should've thrown in my favorites as a kid! I think many of us bookworms did - Matilda is such a great read. I loved the film as a kid to. I love how we've all approached the prompt with a slight difference. I can't believe Roald Dahl isn't on my list!! Those books were staples in my childhood, especially Witches....it terrified and thrilled me all at the same time! Great list! Witches! Yes, another great one! I'm also a big rereader and Charlie and the Chocolate Factory was one of the ones that I got out of the library dozens of times as a kid. :) I'll actually be rereading it in a week or so for my Top 100 Chapter Books project on The Estella Society. I'm super excited to visit the factory again! I love the film versions of Charlie and the Chocolate Factory - the one with Johnny Depp is my preferred adaptation but I know a lot of people love the first. I kind of just love the wackiness of the Johnny Depp one, plus he is one of my favourite actors. Ah, I bet it's such a joy experiencing Harry Potter with your child! Love this list! I have been thinking about doing a big Roald Dahl reread sometime soon -- I read all his books when I was a kid. This is sort of random, but have you ever watched Face Off? If you're at all interested in movie art and character design (or even if you're not), this show is so so cool. It's a SyFy reality show where special effects makeup artists compete, and just seeing how they conceptualize their characters and put them together is the most fascinating thing. I hope you enjoy if you do reread Roald Dahl's books! I haven't watched that, no, I'll have to look in to Face Off - it sounds interesting!! 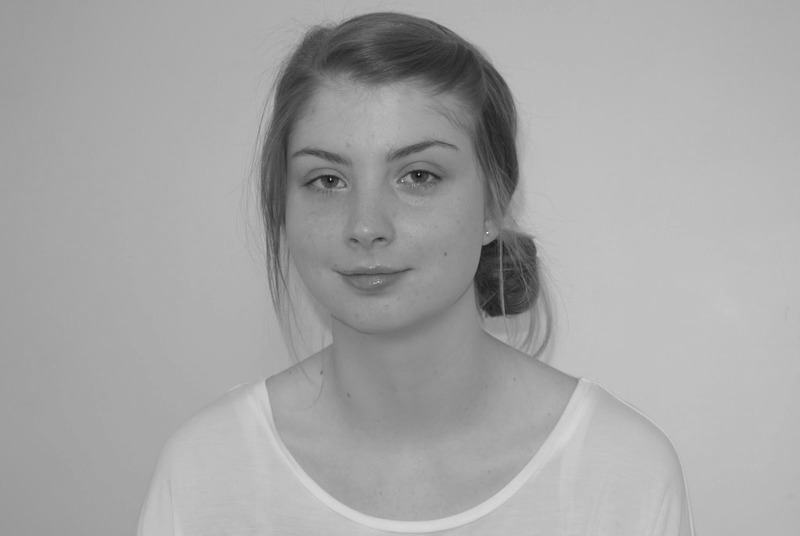 The Woman in Black is so scary! I love it! It sure is, but a subtle scary which is the best kind! You sound just like me! The first illustrated HP book is fabulous. I love the artwork. Charlie and the Chocolate Factory is one of my favorite books that I read aloud to my kids. It isn't, isn't it? Originally I wasn't going to purchase the illustrated HP edition right away, but when I saw it in a store I just couldn't leave without it. I can't wait to see the other books! I loved Matilda when I was young! Was also a big fan of James and the Giant Peach. I read almost all of Roald Dahl's books. Roald Dahl seems to have been a staple part of childhood reading for many, understandably so. If you ever get the opportunity to see the play, you must!! So so atmospheric! I read Charlie and the Chocolate Factory to my older boy when he was a baby, so it's not like he would remember that. I hope to reread it to him again soon - he's going to be 5 next month and I think he would love it. Also, besides the regular paperback, I own a pop-up version of the book! I haven't seen/heard of a pop up version - I'm interested! I hope you and your son enjoy reading it together!